What is the security patch level shipping with the phone. 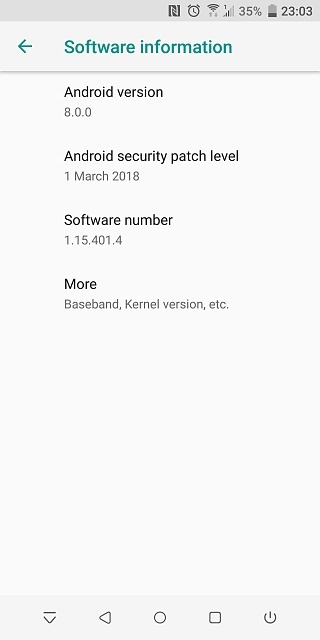 My U11 is still running a patch level of December 2017 and HTC says that is the latest version. HTC said I would have to contact my provider for a newer patch level. The phone is unlocked and purchased from HTC. Verizon does not support the phone so they are not going to provide anything. If you are looking to buy a U12, check with HTC about continued support. Don't expect regular security patches from HTC. They will get the platform updates in a timely manner, meaning it'll get Android P on the unlocked model most likely by end of year. But they are not known to always keep up to date with security updates. And no point asking clueless customer service for update. Wow! Hmmmm not sure why lol. Remember also, if you're in the US - HTC, a Taiwanese company, may not be very worried about US customers at the moment. Regardless of their arguments with the mainland, if it's the US or the rest of the world (the EU isn't feeling too great about us either), we may not see very timely updates. Is my Whatsapp is secured? AT&T finally put out a security update.